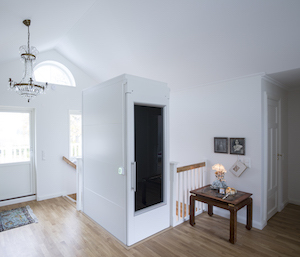 Overcoming architectural barriers like steps and staircases to reach different floors within your home is achievable with the installation of a residential platform lift. But with so many products on the market it can be difficult to decide which solution is best for you, your budget and your living space. This guide to platform lifts has been put together to help explain the differences between the types of products available and how they are installed. 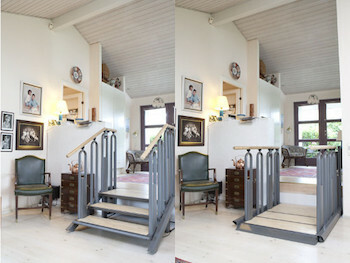 Putting a ramp in your home isn’t always possible, especially if space is an issue, therefore an open residential platform lift could provide a solution. These types of lifts can overcome a change in floor level without having to make any structural alterations to your home. The user enters on one side, then exits the other side which means the person in a wheelchair is always facing the right direction without having to turn it around. The open residential platform lift is fixed to a level floor and requires a power supply for the control unit. The platform lift is typically battery motorised and operated by a remote control, push buttons or a control panel. Where space is an issue, there is also a clever new product on the market which can be configured as a flight of stairs and transformed at the touch of a button into a platform lift. Both types of lifts can be installed internally or externally, and customers can choose from a variety of materials and finishes to complement their interior design or architecture. If you are travelling higher than two metres to reach a different level in your home, then you will require a residential platform lift with a shaft or a contained cabin. Through the floor lifts can be positioned virtually anywhere within your home as they have a self-supporting structure. They offer ease of installation as no major structural alterations are required. They can only travel to the next floor – for example, the living room to the room above. If you have slightly more budget, then consider a residential platform lift which can be installed either internally or externally. Again, this type of lift doesn’t require major structural alterations as it comes with its own shaft which can even be steel in any RAL colour, stainless steel or glazed to create a feeling of space within a room. Installation is as simple as creating an aperture in a floor, building the lift shaft and creating a shallow pit (as little as 50mm). 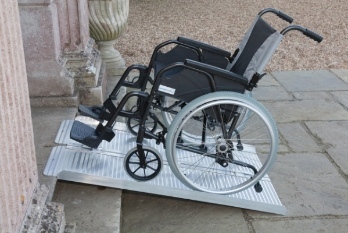 Alternatively a ramp can be fitted to the front of the shaft on the ground floor level instead of creating a pit. Residential platform lifts can travel up to 12 metres. For those who want a much more luxurious experience then you cannot beat the cabin style residential platform lift which offers a similar experience to a passenger lift. The design possibilities are endless as you choose your desired material and colour for the shaft and also the cabin. There is real scope to make this lift your own with bespoke finishes. This is a high-end luxury product and a real talking point. There are two main types of lifting mechanisms for cabin style platform lifts; hydraulic or a screw and nut system. Both types of platform lifts travel at 0.15 m/s. Hydraulic platform lifts are quieter and occupy less space within a property for the lift shaft; this is because the pump box or machine room is housed separately outside. A screw and nut platform lift is motor driven. The shaft does require slightly more space because the lifting mechanism sits adjacent to the first level door, but remember there is no need for an additional machine room. The other huge advantage is that this type of lift only requires a 50mm pit, therefore minimal building work. 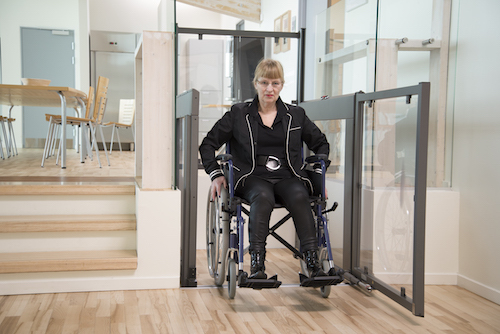 A screw and nut platform lift can be installed within a two-day period in some cases. Platform lifts come under the Machinery Directive due to their slow speed and constant pressure controls. The lift will require servicing at least twice a year.